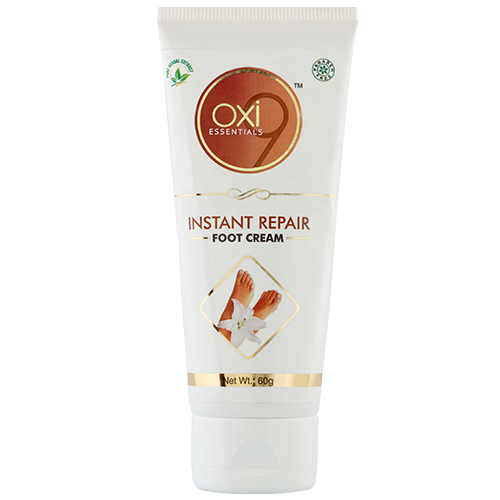 Designed for dry, rough and cracked heels, this Foot Cream works hard to condition and repair even the toughest skin. It's lightly scented, fast penetrating, and non-greasy. This concentrated formula delivers prompt relief for even seriously dry, rough feet. It restores skin's softness and helps keep dry patches from coming back. Gently massage onto cleansed feet until fully absorbed. Use twice daily or whenever the skin feels dry or rough. Oxi9 essentials are clinically proven, highly performing and having international quality standard. Using only the purest most efficacious ingredients, our natural herbal products are formulated to provide targeted solutions for enhancing appearance, nourishing and health.